The British Horse Society is the UK’s largest and most influential equine charity. I work with the BHS in a voluntary capacity as Regional Communications & Marketing Officer and it is my job to raise awareness and promote their truly inspiring work. My role covers all aspects of Digital Marketing where I can really make a valuable contribution. I have established and help to maintain social media presences on Facebook and Twitter for BHS Yorkshire. This has increased engagement levels and involvement with the community. 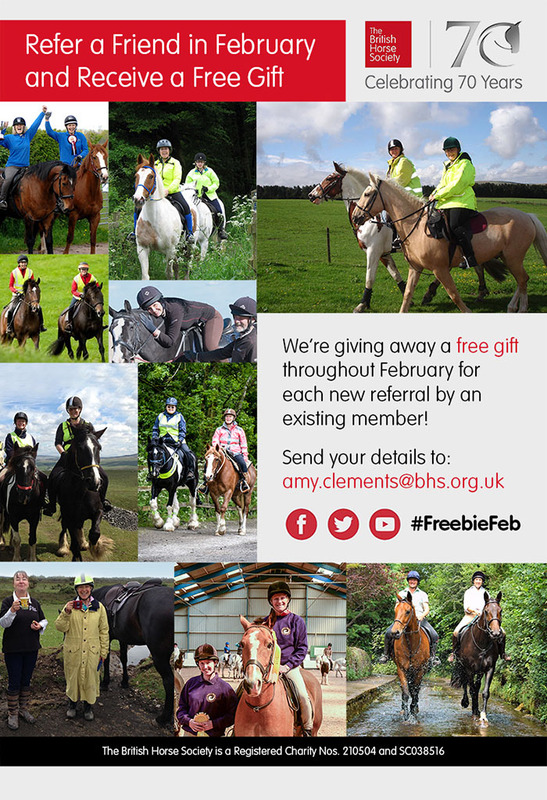 In celebration of the BHS’ Platinum year, we launched the #FreebieFeb campaign. 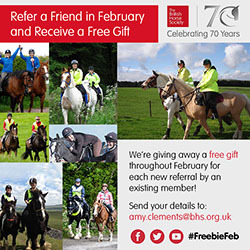 We gave away a free gift throughout February for each new referral by an existing BHS member. 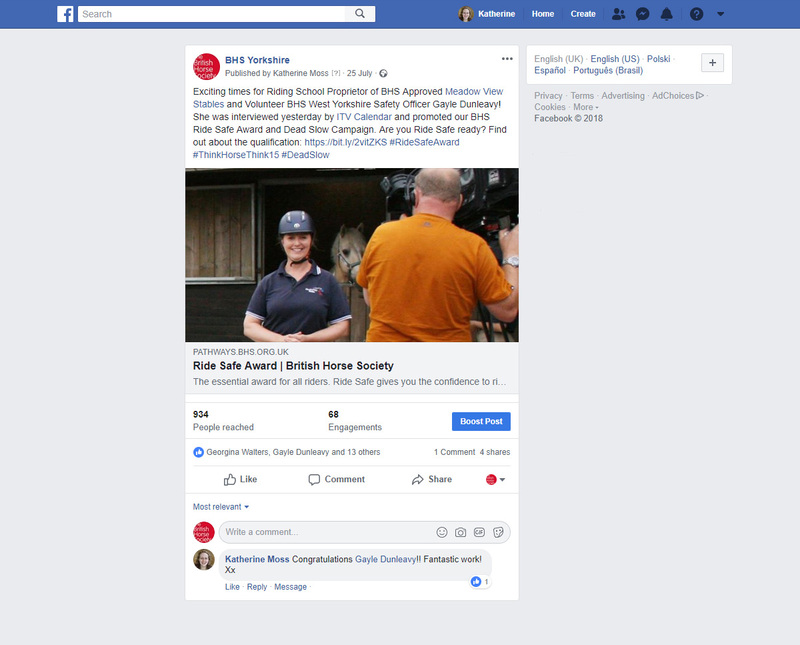 This not only encouraged visitors to spread the news by sharing the post (viral marketing) but also increased uptake of membership and insurance policies, which the charity relies upon to fund it’s endeavours. As well as promoting events I also write follow-ups and post these across social media. This helps to stir-up conversation and inspire those who did not attend to get involved in similar, future events such as the one above, at Follifoot Park Riding Centre. BHS Yorkshire regularly run safety events across the region and these are very well attended. 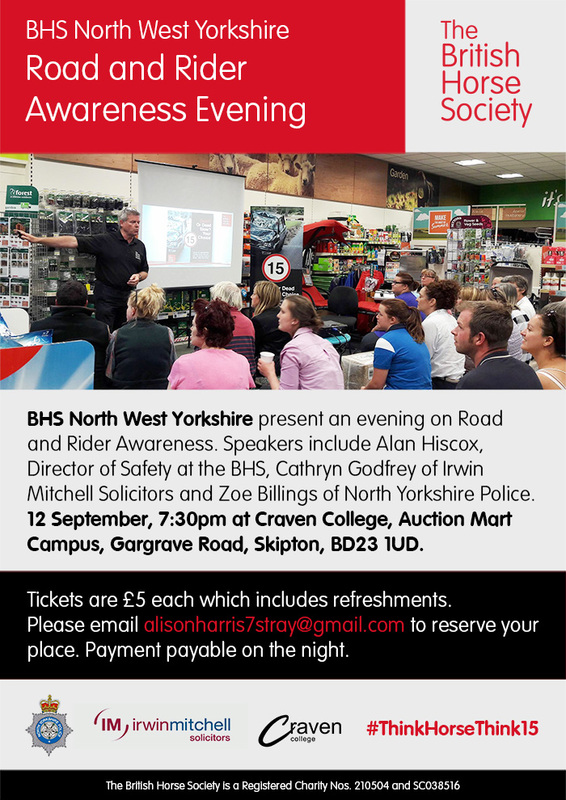 I was asked to design a flyer to promote BHS North West Yorkshire’s ‘Road and Rider Awareness Evening’. The design adheres to brand guidelines and uses a striking image of our BHS Director of Safety, Alan Hiscox, presenting to a captivated audience! 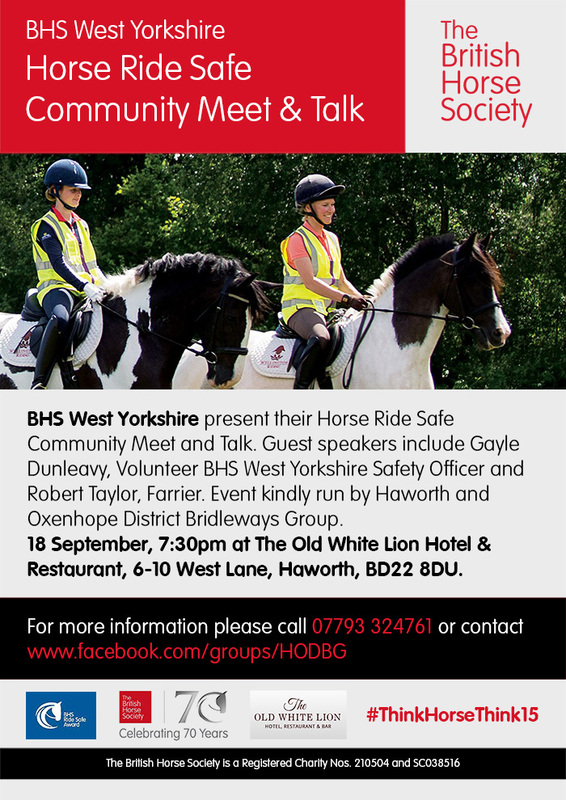 BHS West Yorkshire Horse Ride Safe is a monthly meetup for local horse riders wishing to discuss topics such as bridleway issues, road safety and training. This design was distributed far and wide to garner interest from those in the area who might attend the event and spread the word to their horsey friends. This design focusses on an action shot of the firefighters from West Yorkshire Fire and Rescue Service. 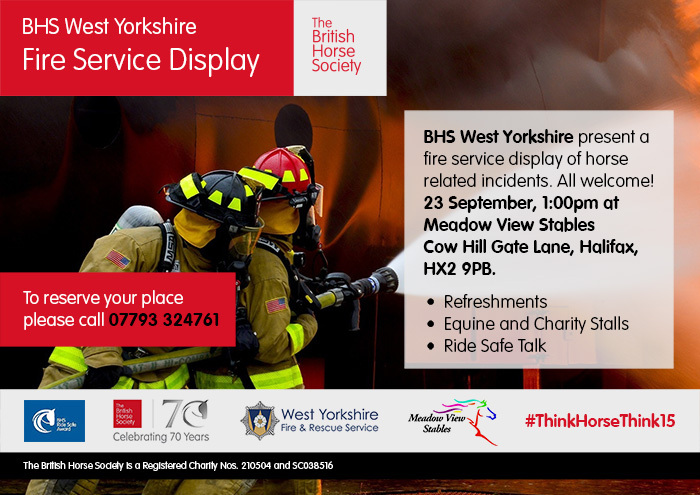 They kindly agreed to present a fire service display for one of our BHS West Yorkshire Horse Ride Safe events. This was a charity fundraiser with all proceeds going directly to the BHS. 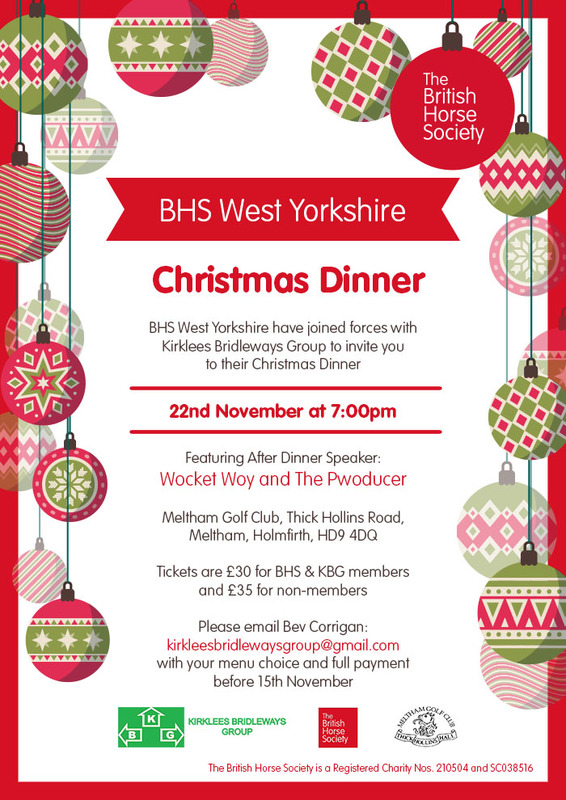 BHS West Yorkshire’s Annual Christmas Dinner is a real highlight in the equestrian calendar, with guests travelling far and wide to attend. This year’s event celebrates 70 years of the British Horse Society and required promotional materials that would quickly draw attention and spark interest. 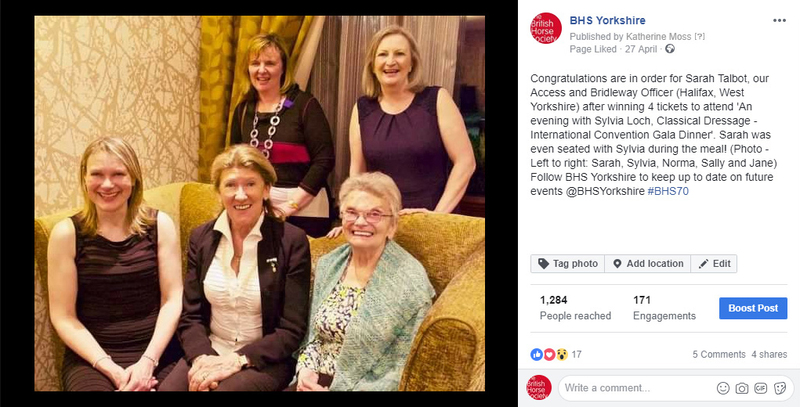 This social media post was shared across BHS Yorkshire’s Twitter and Facebook pages and has a strong call to action, encouraging sign up. 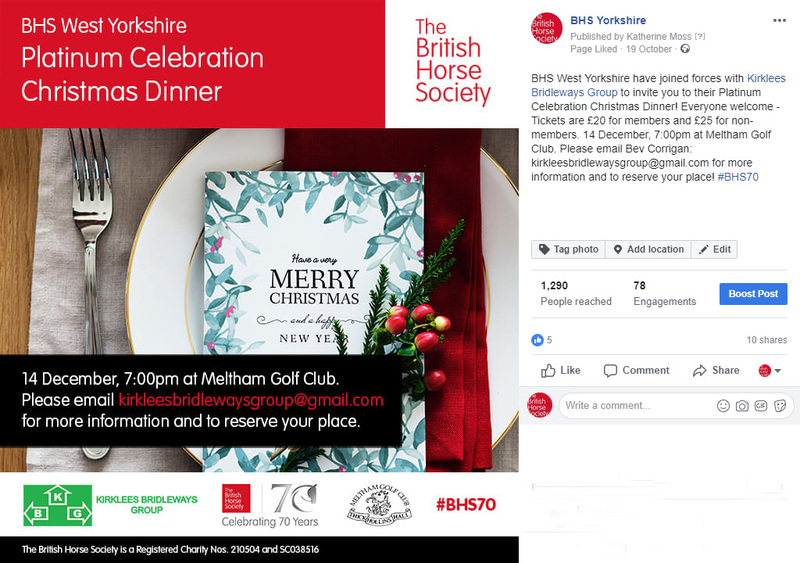 This poster design for BHS West Yorkshire’s Platinum Celebration Christmas Dinner has a seasonal theme, using decorative baubles to frame the copy, whilst remaining recogniseable as a BHS event and adhering to brand guidelines. Festive tickets were produced to distribute amongst volunteers keen to register guests and collect their entry fee. 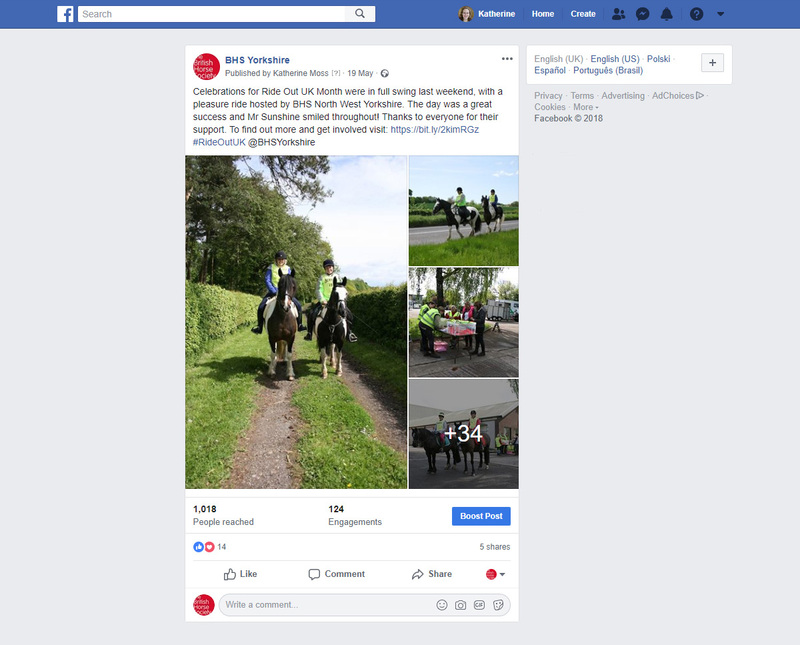 For this year’s social gathering we joined forces with Kirklees Bridleways Group, thereby extending our reach and spreading the news even further.